While admiring the melodic pop savvy of Paul McCartney, I’ve never felt compelled to follow his solo career that closely. I was always a Lennon man. Hang on, you say, there must be more than two categories, surely? And of course, there are. A number of distinct sub-personalities operate when the Vinyl Hunter-Gatherer is out and about. What is more, movement between these disparate ‘selves’ is not only possible, but likely. Interviewing a vinyl disciple using the standard Voight-Kampf [Vinyl] Test should yield results falling into these Top Ten categories. How to detect the various expressions of Vinyl Hunter-Gatherism? Well, the subject will always manifest physical changes that the trained eye can detect and interpret (such as the ‘Blush’ response associated with being seen with, say, a Wings album) but as there are very few Blade Runners operative, it is only perceptive long-term partners and spouses who can gather and interpret this data reliably. Which is why most Vinyl Hunter-Gatherers suggest their mates +/- children check out ‘that nice little cafe down the street’ when they are aiming to score. Or, for the money-haemorrhaging Category J, wait until they’ve all gone to bed. This particular Vinyl Hunter-Gatherer had, as noted above, been on the look-out for a clean copy of McCartney II for a while. Not because it is essential or even particularly desired but mostly out of curiosity. A sensible person would simply listen on some web streaming service, but then ‘sensible’ and ‘record collector’ are rarely sighted in the same sentence. In fact a number of copies of this album have passed under our fingers in the past year, but due to the low level of importance/interest, it had not been purchased. Until a month ago when the pickings were slim but the hunger measurable and Paul’s second self-titled album made the journey from shop to music room. Opening with the album ‘Coming up’ is a strong beginning. The single is both catchy and quirky and although McCartney sounds like he’s on helium (it’s actually a vari-speed tape recorder) and the lyric doesn’t quite challenge ‘Imagine’ —or even ‘Watching the wheels’ (also 1980)— for profundity, it is a lively and positive start. Others must’ve liked ‘Coming up’ too, as it hit #1 in the US and Canada and #2 in Australia and the UK. The ex-Beatle seems to have employed a Casio keyboard (or similar) as the sound of the entire album is characterised by a thin electronic bleepiness that evokes Kraftwerk’s Computer World in a knocked-this-up-at-home DIY sort of way. And that is because home is exactly where Paul recorded McCartney II. It was —apart from some extra vocals from Linda— an entirely solo effort. Surprisingly the simple cheesy synth sounds and battery-driven percussion work well. There are a couple of instrumentals whose rustic electronica evoke a kind of demo Yellow Magic Orchestra but there is also the melodically sumptuous McCartney ballad ‘Waterfalls’, whose beauty is only enhanced by the minimal setting. It’s one of those moments that remind you that McCartney really could write a good tune. Remember that scene in Douglas Adams’ Life, the Universe and Everything? From somewhere at the back of the crowd a single voice started to sing a tune which would have enabled Paul McCartney, had he written it, to buy the world. Well, ‘Waterfalls’ is one of those. Mr M must have been feeling relaxed and jovial residing in the bosom of his family as there is a streak of mischievous humour through the record. I really like the sequencer-driven ‘Temporary secretary’, a distant cousin of ‘Paperback writer’, without the desperation. If you can ignore the hubris of fantasising about a highly trained surgeon abandoning her profession to nip over to Paul’s place for some dictation, that last couplet is quite amusing. 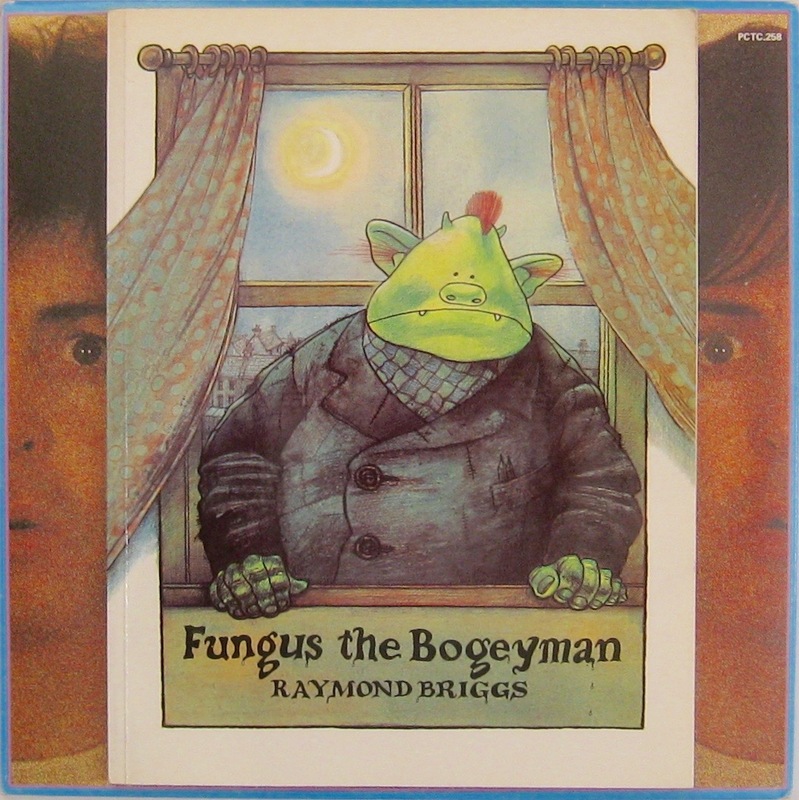 Less successful is ‘Bogey music’, inspired, Paul tells us, by Raymond Briggs’ classic graphic story Fungus the Bogeyman. Great idea, but whereas the book is a clever and sardonic exploration of existential meaning, the song is a weak and tedious formulaic rocker. Could’ve done much better. ‘Nobody knows’ is another of the standard bluesy rock songs that McCartney can knock out in his sleep, while ‘On the way’ is a sparse blues; a simple song with a strong Paul vocal and a competent guitar break. 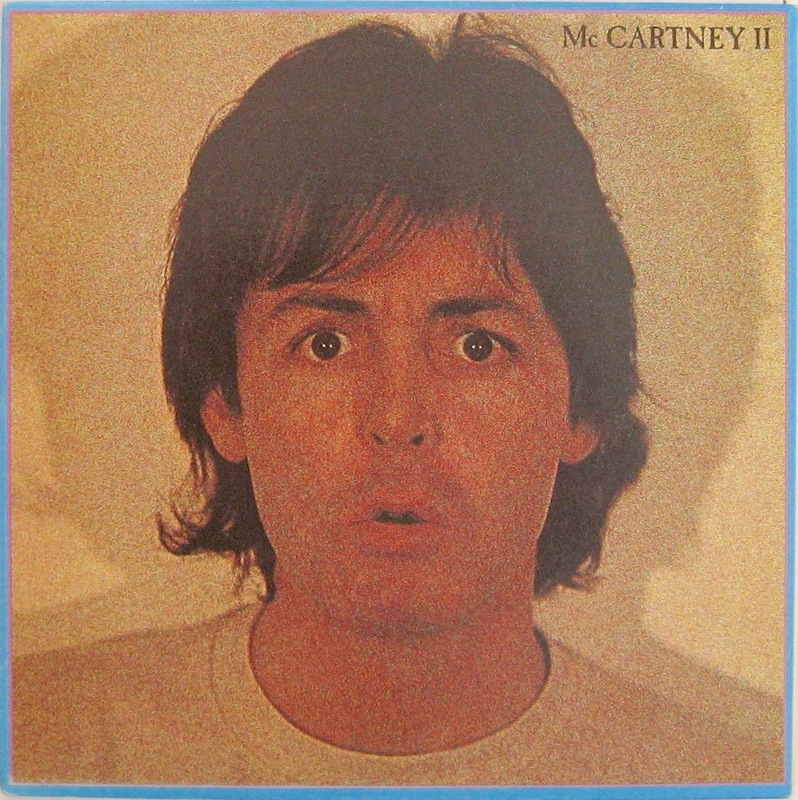 Overall, McCartney II —despite its weaknesses— is an entertaining record that I can imagine dragging out now and then, as much for the dawn-of-the-80s synth sounds as anything else. In a phrase, slight but satisfying. And definitely Category F.
Recognise yourself in any of those Categories? Ahh, wonderful! 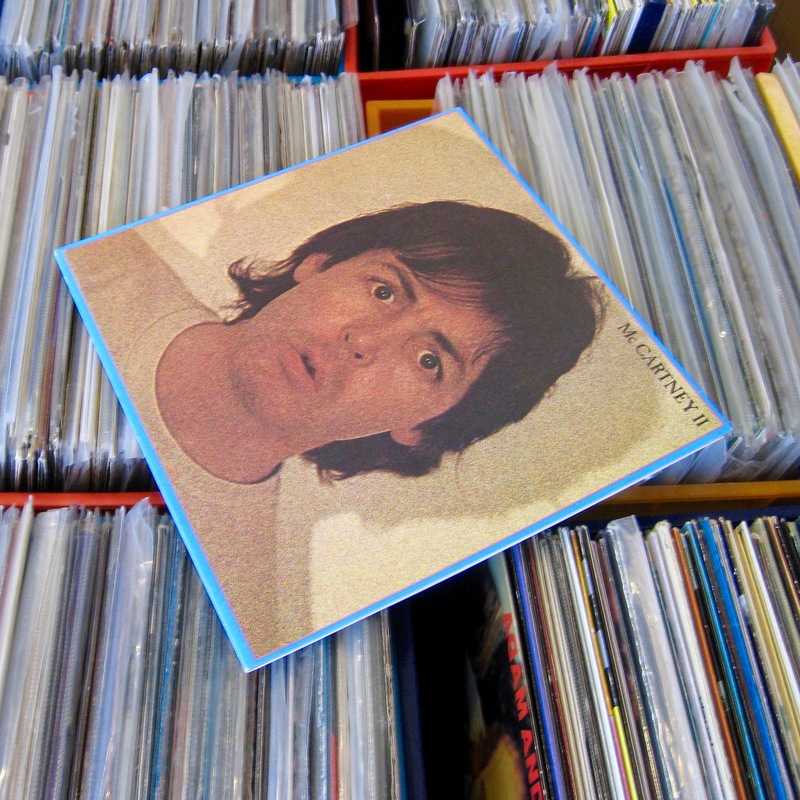 We only have some kind of McCartney hits set here, a 2 CD thing, but none of his studio albums. At least I don’t think we do. The lead section here is brilliant – honestly. Maybe Geoff can figure out a way to graph it. I fall under a few categories. Thanks so much Mike. Really appreciate such an immediate response. As you’d know, these posts take a bit of work! But this one, I’m running with. The next post – further ‘Case studies’ – is in press! Oh I know — believe me I know how much work goes into these! Looking forward to the next. I was always a Lennon man myself, too. But it seems as I get older, more curmudgeonly, and maybe a little more responsible, I tend to lean more towards Mr. McCartney. His first solo record, Ram, and this record show just what the guy could do when he was left to his own devices. There’s some Wings stuff that I liked ‘Venus and Mars’ and ‘Wings At The Speed of Sound’ in particular, but mostly it was just kind of boring. Nothing like “Mother”, “God”, “Love”, or “Cold Turkey” that grabbed you in the gut. But at least Sir Paul seemed grounded from the get go. He seemed to have a vision. It is a worrying correlation, isn’t it? That one that goes: the more fucked up, the more interesting as a musician. But of course you are right, who’d begrudge any of those dudes some peace love and understanding. PS> I was probably a little tough on Wings, and I agree about McCartney I too. Sir Paul lives (has a house, anyway) a street away from my in-laws over here (well, about 2 miles away from us) and is often to be spotted around being generally polite and normal. He once held a door open for my wife in a newsagent when she was 9. Oh yes! That’s the kind of celeb stories we have over this way. I don’t own any McCartney solo, or Wings – I’m a Beatles fundamentalist I’m afraid. I’m definitely a Type C/D. In any given record shop I always head straight for the B section first, until I get my bearings – true story. Absolutely no idea why. Beatles fundamentalism is one of the few brands that is tolerable, really. Meanwhile, I think the link between sentences one and three show a certain McCartneyesque groundedness. You may well be too normal to be a proper record collector. I have heard ‘Temporary Secretary’ being played on the dancefloor once or twice. I think its ace but I’m making do with an illegally and totally accidentally downloaded MP3 of it. Right, Mush! I’m turning you in to the mp3 poleece. You’ll be transported downunder until you acquire every digital file on vinyl. On the bright side, you’ll be in a winning rugby side. I’d only point out that the version of ‘Coming Up’ made popular here in these crazy ‘states of ours was the live version, not the cut off of the McCartney II album. I, too, prefer the one recorded in Glasgow, Scotland (17 December 1979) during Wings tour of the UK, than the LP track. It has a vibrancy Paul’s vari-speed tape recorder-effect mutes, at least for my ears. YMMV. Thanks a lot Michael. (And thanks for the Twitter action too – I’m utterly hopeless at social media and often forget I have a Twitter account!). Never knew about the ‘Coming Up’ variant in the US. Interesting. And that video, eh? I’m never sure whether to giggle or throw up. Henry clearly attended several Record Fairs to have nailed the rampant Vinyl Hunter-Gatherer so accurately. There’s a Fair in Box Hill this Sunday. Might try his profile out! Wow at some point I may fit into all of those categories. I have dabbled in Sir Paul and his Wings, sometimes with few returns. I do believe him to be at times the less interesting but more musically adventurous ex- Beatle, he could however do with a good editor at times. I likewise will not be showing my long suffering wife this analyses of my dysfuntion, especially as I staggered in this afternoon with 8 new to me records. Thanks for this though, maybe. Paul McCartney seems a sincerely good human and is unquestionably hugely talented. I can’t help but think positively of him. But somehow, save the Beatles(!) and a few covers by others of some of his acknowledged (by me) master-level creations, I am drawn neither to gather nor to aurally seek. There’s no negativity, and I often enjoy the “unexpected” listen when it happens, but there’s no pull for me. Of course all those dubious Categories are just research. Nothing to do with me. At all. No Sybils round these parts Mister. Do you know the Beatles/Wings quote from The Alan Partridge Show (British comedian Steve Coogan)? I’ve included it (probably inaccurately) in the reply to J.
PS. Watch out for a Category D reference to a certain US expat in the next week or two. Oh. I mostly fall into B, C, D, and J, I reckon. As for McCartney … I just don’t much enjoy anything of his. Unquestionably talented, but it just doesn’t connect with me. Still, falling into the adventurous and research fields, I might just surprise myself one day, huh? Good on ya, James. As E to H are the most psychologically questionable (and probably I too, come to think of it) I reckon you are doing well. But isn’t J dangerous financially! I reckon so – I save ‘J evenings’ for albums I’ve given a lot of thought about. Haven’t actually spent too much when I’ve done that … though I have been close to a reckless purchase or two! Delightful post Bruce, really enjoyed – and yes, record collector and sensible do tend to be mutually exclusive terms! Great categorization, I think we can all relate to different letters at times. Thanks Geoff. That’s twice ‘Ram’ has been mentioned. I have an old s/hand copy filed; must drag it out! Yep. That’s a gold-plated Category A score. The Gods of Vinyl were definitely smiling upon you. While I loved McCartney’s early solo and Wings stuff, I had moved on when this came out and only heard it recently. Shrugged my shoulders and moved along. Can understand that Thom. My curiosity (and enjoyment) was around the synth sounds mostly. As we say, ‘It fills a gap’.